DCAA Accounting Software – What’s Available? Wow, the amount of software available for DCAA accounting is plentiful. There are those that offer manuals to help guide you through the DCAA accounting system that can be a great help if you are new to the government contract game. Some DCAA accounting software offer human resource documentation with procedures for timekeeping, timecards, and billing systems. Still, others offer ways to keep track of billing direct and indirect costs, allowable and non-allowable costs and properly prepared reports for viewing and analyzing how your company is doing according to your contract. Whatever type of DCAA accounting software you choose, know that there are many available. Make sure they are DCAA compliant and offer your company all you need; thus, choose a system that does more than just tracking of accounting issues. 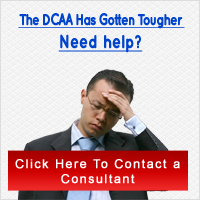 Opt for those that can prepare reports that you will need when the DCAA comes knocking for an audit.